6 photos in database by this submitter. 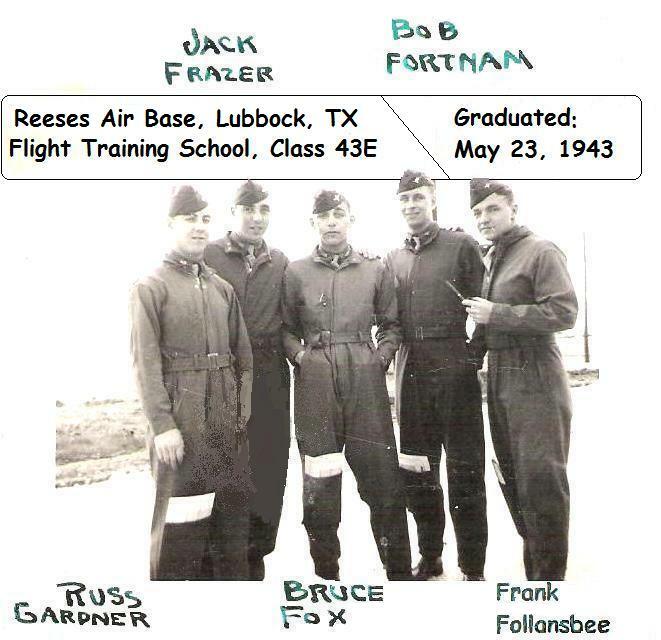 Comments: Russ Gardner (Nee: ) | Lubbuck TX US | 1941-1960 | Comments: Left-Right: Russ Gardner; Jack Frazer; Bruce Fox; Bob Fortnam; Frank Follansbee. Reeses Air Force Flight Training School, Lubbuck, TX. Graduating Class 43E. May 23, 1943.